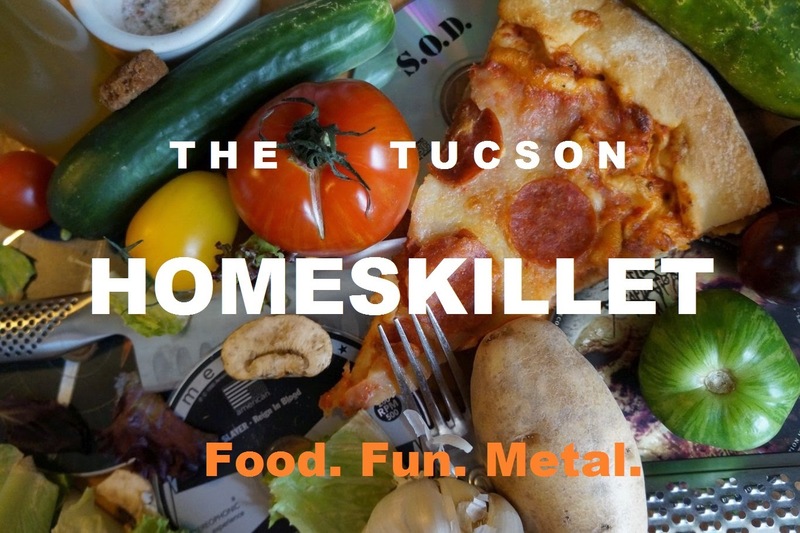 What I love best about being a food writer here in Tucson, or just being a curious/adventurous eater (and drinker) in general, is that there are so many fun and random pop up culinary events to attend year 'round. How frikkin' fun is that? On a sunny Sunday afternoon, the Tucson Originals group in conjunction with Local First Arizona held a fairly intimate gathering at the fairly new Trident III (250 S. Craycroft, just off Broadway) called Whiskey & Smoke. 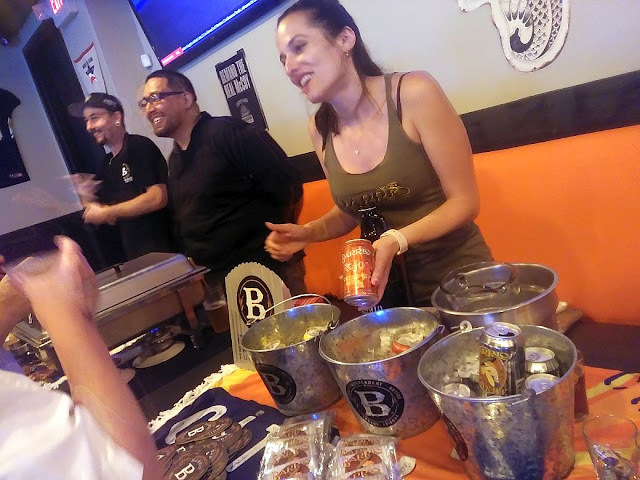 This was a time for some Tucson breweries, distilleries, restaurants and chefs to highlight when they can do with some of their products and pair them with some 'smoky' nibbles and goodness. It's also good to see that Trident III is doing so well because the last few concepts in that spot didn't pan out so well. In fact the one right before they moved in was open maybe a month or two before having to shut down for good. 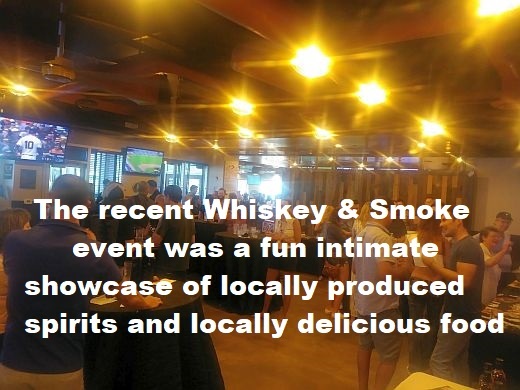 But on this particular day, the regular restaurant portion was pretty bumping as was the Whiskey & Smoke event which was nestled into a jammed side area just right of the front entrance. 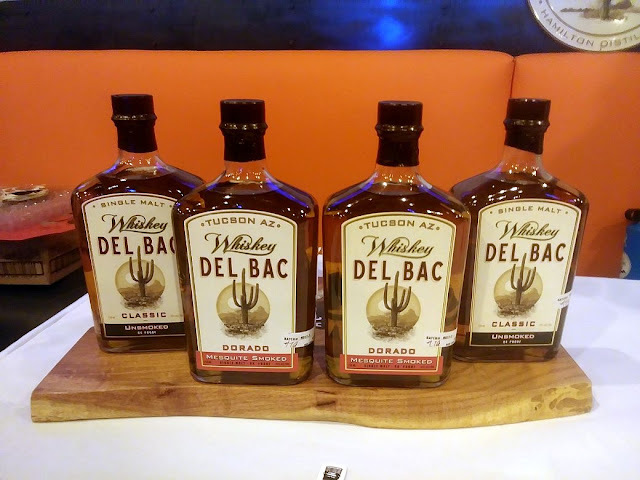 My first booth stop was at Hamilton Distillers that bottle the multiple award winning whiskey series, Del Bac. Since my cover story on them and other local distilleries for the Tucson Weekly last year I have been sort of obsessed with their Dorado blend, which is sort of like drinking liquid bacon. No, serious, its like...totally amazing. With that down the gullet I was ready to sample the goods from various restaurants and chef friends that decided to come out for this jaunty shindig. First sample was from Mat Cable of Fresco Pizza. He made this mezzelune out of burnt wheat, stuffed it with with some smoked duck and then finished with a morel and smoked whiskey cream sauce. Wow. 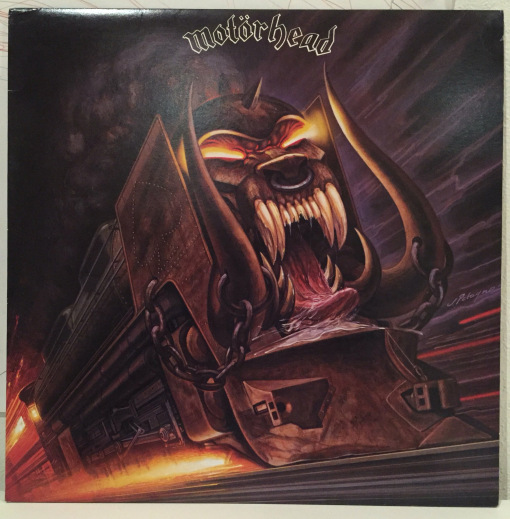 Incredibly good. So far the "smoke" aspect of the event is off to a great start. Next was the host, Trident III, and their smoked brisket take on a banh mi. There were so many elements involved in this dish that all I could do was nod as the list of ingredients were being laid out for me. 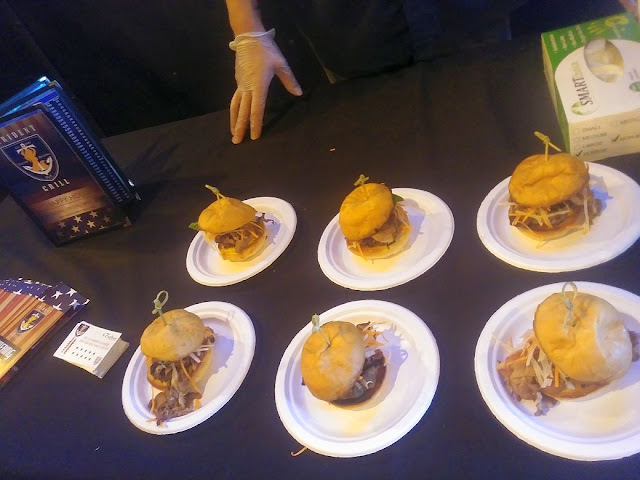 To be honest with you, I'm a little bored with banh mi sandwiches, seeing as I eat a lot for this job, but the fact that this time it came in slider form and featured barbeque...I was alright with it. Very tasty. Of course I had to get a plate of Rocco's famous smoky wings. These things are always a fun thing to have in your mouth. You know what I mean right? Yeah. 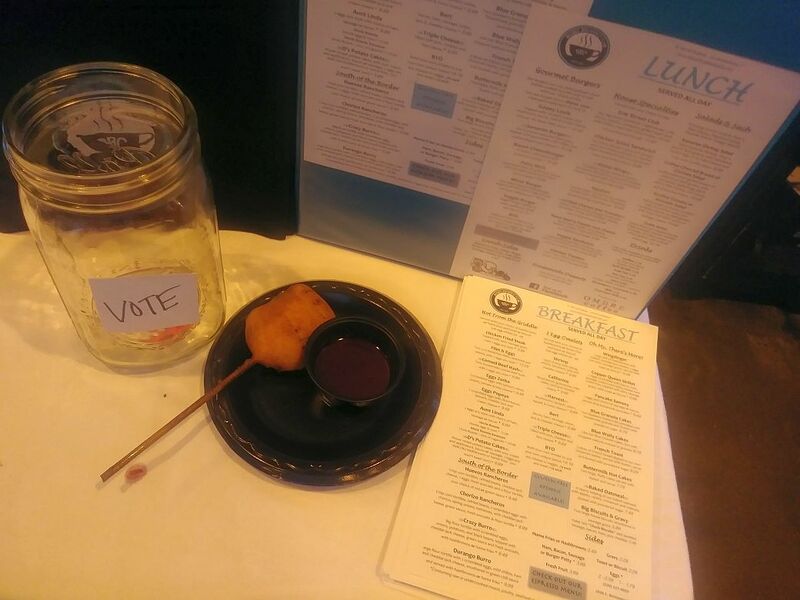 The good people of the Bisbee Breakfast Club did a sort of "corndog" but I think it was a bacon wrapped bit of fried pork belly, which breaks down to bacon wrapped bacon. It was good. Chewy, but yummy. A definite highlight were these mandarin white chocolate truffles served with fresh summer berries and a creme anglaise from Le Rendezvous, a restaurant I have still never been to even though its right up the street from our favorite hangout. 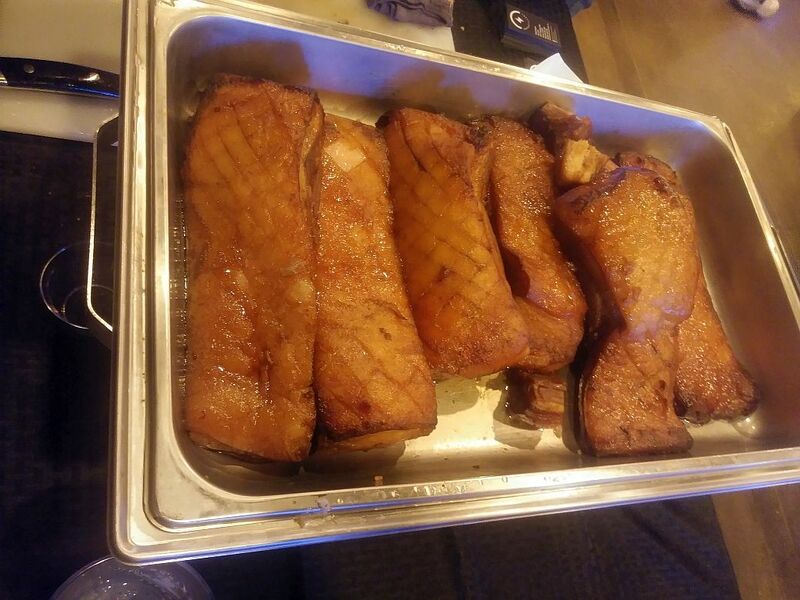 After a few bites of meaty smoked girth, this was a midway respite as I had a few more to try out. Oh my gawd...so good and refreshing. 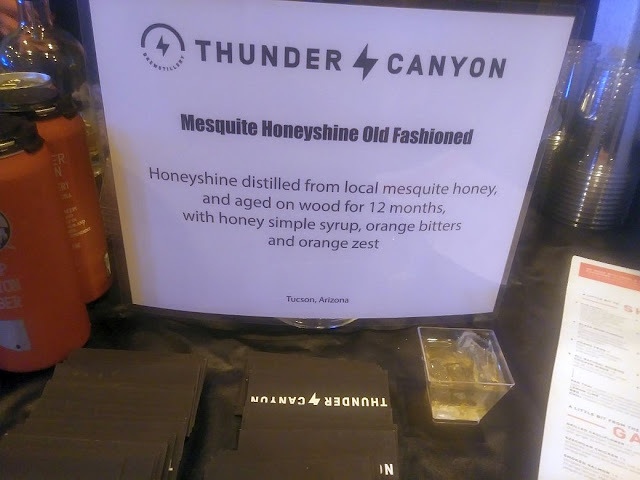 Now that Thunder Canyon likens itself as a 'brewstillery', seeing as they distill their own rum and, apparently, whiskey. They have something called a Mesquite Honeyshine and made a right proper old fashioned with it. What made it even better was the plate prepared by new executive chef Matt Kraiss that featured beer braised pork belly (yes, lot of pork belly today) on a house made ciabatta, drizzled with a whiskey leek cream sauce and completed by some whiskey pickled fennel. Even though I was a little pork belly'd out, this sandwich was amazing. Highly advised to put it on the regular menu...that is if it isn't already. Finally there was Barrio Brewery that offered up their new Smoked Nolan's Porter and paired it with some fantastically sticky BBQ ribs. I wasn't too sure who would win this event but in the end the Barrio ribs took the prize. They were perfect. No really. I can totally see why they won. Although in my eyes, and stomach, everybody was a winner. Awwww....can we get more corny than that? After Whiskey & Smoke it was off to another event...but that will come later in a future Homeskillet. 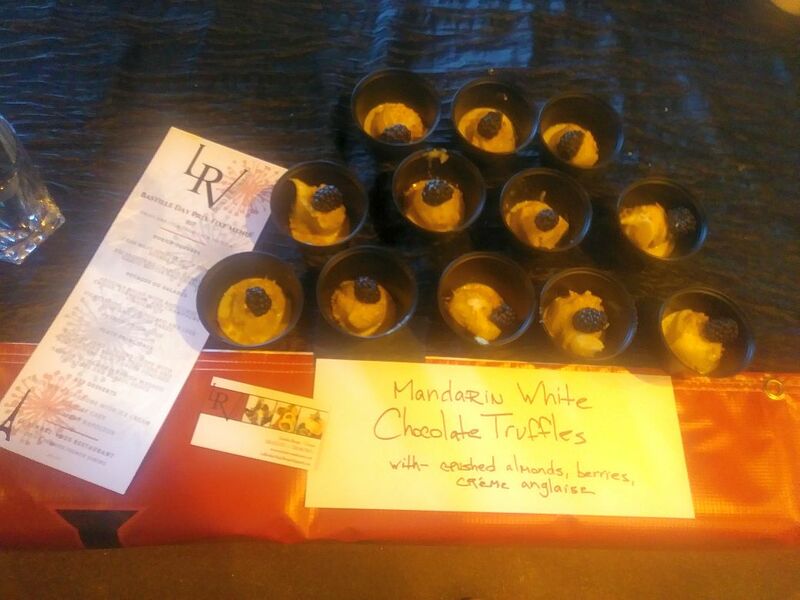 Thank you Tucson Originals and Local First Arizona for putting on this event! And thank you chefs, brewers and distillers for bringing the heat. That smoky, smoky heat. You all rule. What's So Miracle About These Berries?